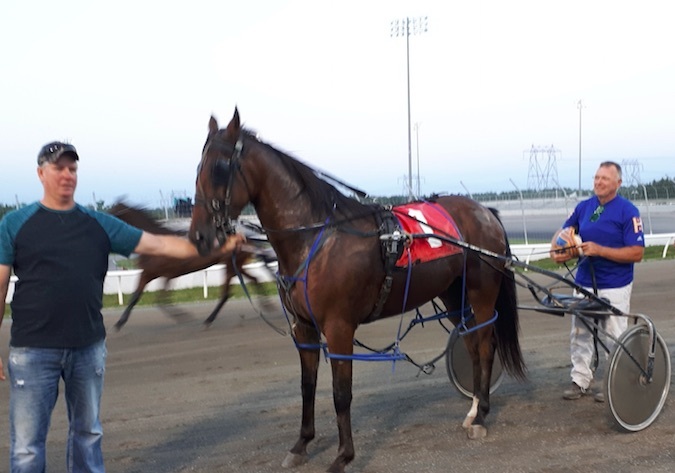 Kawartha Downs’ race fans recognized the winner of last night’s ninth race at Woodbine Racetrack, Olliestrikesfame, who recorded an impressive 1:51.3 effort for James MacDonald. It was the second last Standardbred race to be contested at Woodbine Racetrack on a Saturday night. It was the second straight victory at the Toronto oval for the four-year-old son of Mach Three owned and bred by Mark and Vickie Neilson of Baltimore, Ontario. Kawartha’s track superintendent Doug Hie trained the gelding since the start of his career with Rene Bourassa taking over for his most recent outing. 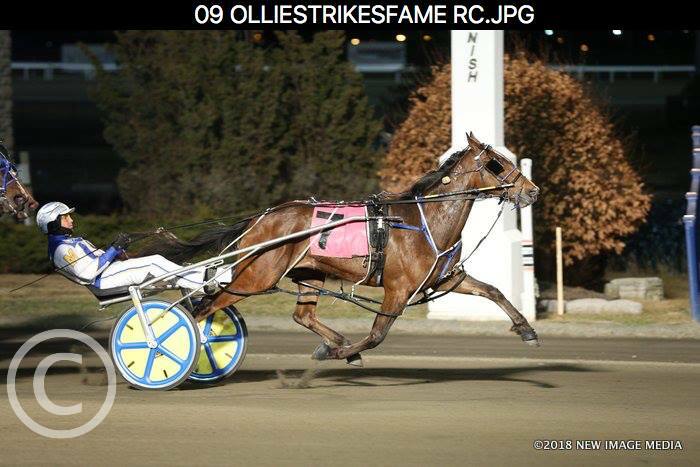 Ollie made nine starts last year at Kawartha Downs scoring a victory on family night with Doug at the controls. Olliestrikesfame’s summary now reads 3-1-2 in 10 starts this year for $37,300 earned and $56,000 lifetime. He is the fourth living foal from Creek Alley, a half-sister to $262,650 winner Hayser Creek, the dam of $3.8 million winner Boulder Creek. Woodbine Racetrack has hosted Standardbred racing for 24 years. That will conclude tomorrow night when the final harness card goes postward with a 7:10 p.m. post time. The Woodbine Entertainment Group, which owns Woodbine and Mohawk Racetracks, will now host Thoroughbred racing at Woodbine and Standardbreds at Mohawk near Campbellville, Ontario.